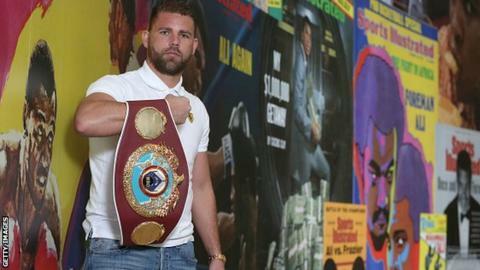 Billy Joe Saunders has pulled out of his WBO middleweight title defence against Max Bursak after injuring a hand in training. "I'm bitterly disappointed," said Saunders, who was due meet Ukrainian Bursak in London on 30 April. "This is boxing and these things happen." Former Olympian Saunders won the title by outpointing Irishman Andy Lee in Manchester on 19 December. The 26-year-old has won all 23 of his professional fights.